My name is Sophia Lim and author of the following three cookbooks. I am also the Founder and CEO of this website http://specialasianfood.com&nbsp; A lot of my time has been focused on these three cookbooks: writing, editing, cooking, photography work, publication, web-design and construction of my website. But every minute spent had not been wasted as it gave me great satisfaction and happiness of seeing the progress and development of my work. Today I am very happy that you can access my website and see for yourself that these books will benefit you and teach you step-by-step the different dishes and increase your culinary skill to have delicious meals in the comfort of your home with your loved ones. You will learn not only the various popular Asian food, but also cuisines, snacks, one-dish meal. 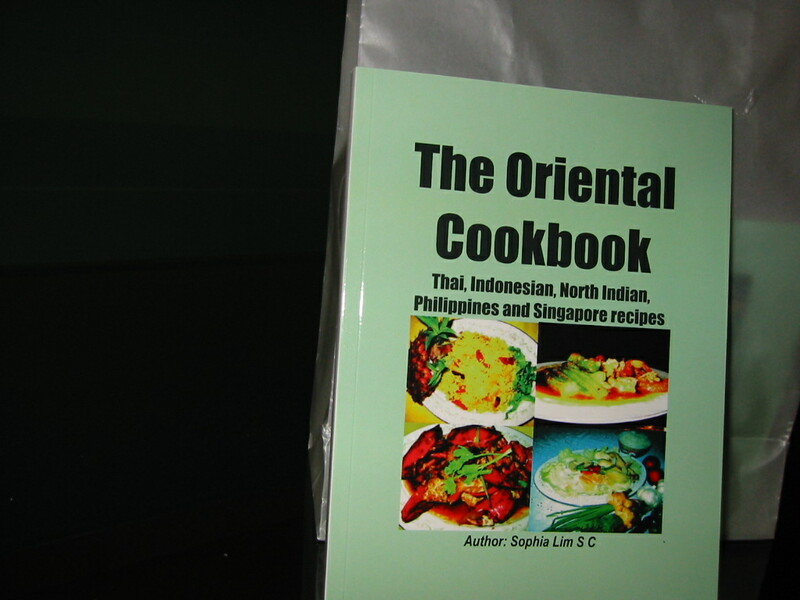 From the Oriental Cookbook you will have a taste of Asian food from Thailand, Indonesia, North India, Philippine and Singapore. I sincerely hope you will have a very happy time looking at my website and will purchase these books or introduce to your friends and you will never regret the authenticity vividly displayed by the colour photos for each recipe. It is indeed a great BUY towards your cooking success! !